Parking Management in the Middle East: A great growth story | Fleming. 26th February 2017: Traffic flows in the Middle East, especially UAE have witnessed a substantial growth in the recent decades. Rising concerns for safe and obstacle free streets is driving demand for efficient parking management facilities is pushing global parking management to a $5.7 Billion industry expected to grow at a 9.1% CAGR up till 2021. Higher investments by manufacturing and service providers in R&D programs is articulating improvements in existing systems and creating opportunities for innovative solutions. 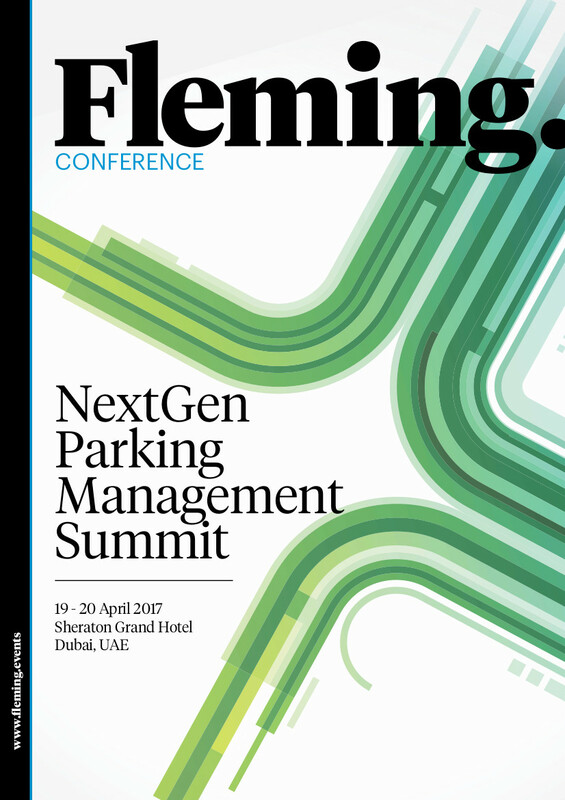 The NextGen Parking Management Summit organized by Fleming. seeks to delve deeper into the current challenges facing the parking management industry in the region today and will identify new opportunities as well as revenue streams. Recent developments in the parking and transportation market in UAE has thrown open doors for exciting new avenues in intelligent transportation, IoT, autonomous vehicles, intelligent parking systems and big data which will go on to determine the growth trajectory of the industry. The summit will be hosting some of the most prolific innovators in the region who will address key challenges in the industry and speak about employing innovation to alleviate these issues. Richard Goodwin – COO at Fybr will speak on the impact of IoT on parking management and integrated transport. IoT solutions will make uploading field data to the cloud without abandoning reliance on established assets easier, making IoT enabled parking management more cost effective than other smart parking innovations. With automated parking making huge waves in the parking management industry, Zarak Ali – Development Director at Massa Global will address the need for automated parking systems in current projects and effectively integrating such systems for major developmental projects in the near future. Other innovators addressing different facets of automated parking include Jukka Riivari – CEO at Leanpark, Martin Tillman – Director of Transport Planning at AECOM and Saeed Al Dhaheri - Chairman at Smartworld UAE. The interactive conference format will feature a melange of insightful case studies, panel discussions, debates and roundtable discussions involving key stakeholders in the industry engaging in a constructive dialogue on the future of the parking management industry and overcoming current challenges to implementing smart parking in the region. While Automation, intelligent/smart parking systems will take up the center table of the agenda, in-depth sessions addressing cybersecurity and protecting critical parking infrastructure will also be focused on at the Summit. Most industry leaders agree that transportation and parking management as industries are undergoing a silent disruption on account of technical breakthroughs in allied industries. The NextGen Parking Management Summit 2017 is a one of a kind event in the region that will bring together industry leaders, peers and innovators together under one roof to develop a holistic approach towards smart parking. The Summit is being organized by Fleming. with Fybr as the Platinum Sponsor, Leanpark as the Gold Sponsor and Gitech as the Lunch Sponsor, while naviparking, Ekinnolab and Airtel have partnered as the Networking Sponsors.